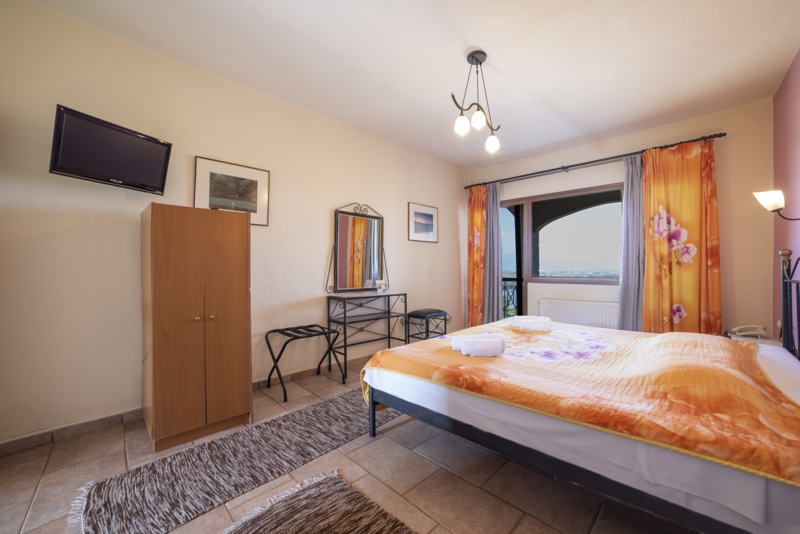 The suite has a comfortable balcony with a wonderful view of Lake Kerkini, Strymon River, Mount Belles and the plain of Serres. Enjoy free Wi-Fi and complimentary access to the pool. Room size is approximate 25 qm. The offer is valid for a two-person meal. It does not include drinks and buffalo menu. The offer is valid for a two-person meal with buffalo menu (except buffalo steak). It does not include drinks. 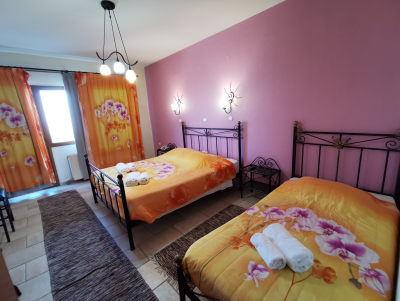 The room has view of Lake Kerkini, Strymon River, Mount Belles and the plain of Serres. Enjoy free Wi-Fi and complimentary access to the pool. Room size is approximate 25 qm. Double bed room Half-board. The offer is valid for a two person meal. It does not include drinks and buffalo menu. The offer is valid for a тwo person meal with buffalo menu (except buffalo steak). It does not include drinks. 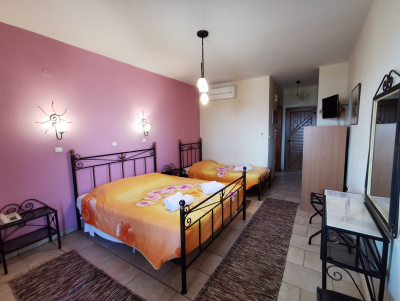 Double room sıngle bed wıth Half-board. The offer is valid for a two person meal. It does not include drinks and buffalo menu. Three bed room Half-board. The offer is valid for a three person meal. It does not include drinks and buffalo menu. The offer is valid for a тhrее person meal with buffalo menu (except buffalo steak). It does not include drinks. Four bed room Half-board The offer is valid for a four-person meal. It does not include drinks and buffalo menu. The offer is valid for a four-person meal with buffalo menu (except buffalo steak). It does not include drinks.